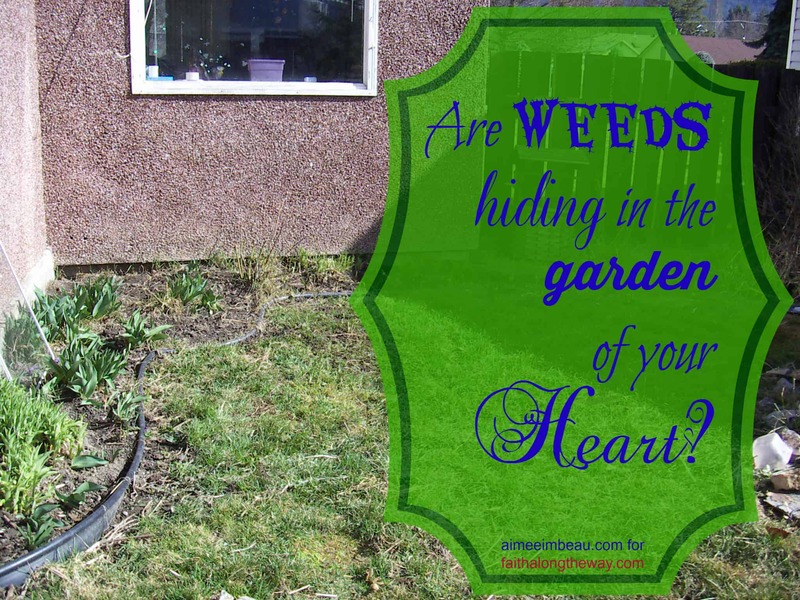 Are Weeds Hiding in the Garden of Your Heart? Have you ever thought of your heart as a garden? God showed me this connection several years ago. We bought the house we live in now about 12 years ago. We have since done some major renovations, but before that, I had a smaller garden area in the back of the house. The previous owner had started this flower garden, but my neglect had caused it to become over-ridden with weeds and dead plants. When my second child was a toddler, I decided to start dealing with that garden area. This was also a time in my life when God was doing some significant over-hauling of my heart. There were so many broken pieces that I had mishandled for far too long and He was finally getting His healing hands on those shards. So, God used this debris-filled garden to speak truth to my lifeless heart. 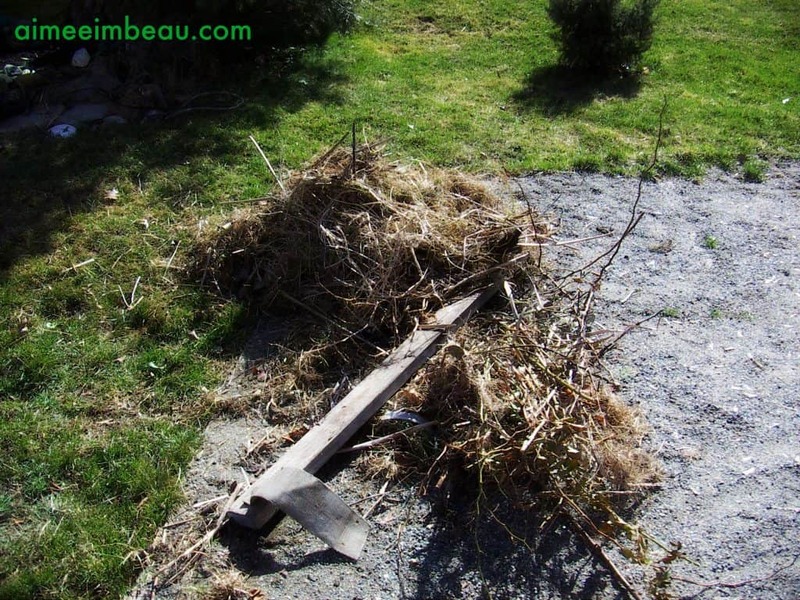 One of the first things I had to do to prepare the garden for fresh, vibrant plants was to purge it of weeds. I was eager to get some pretty new flowers, so I rushed into the job of removing the life sucking, ugly weeds. I was a lot more difficult to do than what I had thought! It only took a few attempts with my shovel to realize that the roots underneath were hindering my progress. I got down on my hands and knees and started pulling on some of those roots. I was surprised to discover that these weed roots did not go straight down. Instead, they traveled across the flower bed! I used all of my strength to pull and dig and pull. As I dug and pulled, God spoke to my heart. He told me that the weeds in the garden were just like the weeds of my heart. They spread out across as well as down deep. As they spread, they infected the healthy, vibrant parts of my heart. These weed roots sucked the life out of the healthy areas of the garden. They crowded the nutrient rich dirt, preventing the new, robust flora to be planted. He needed to eliminate the awful weeds so that He could plant new life in my heart. And in order for Him to get every bit of root out, it required a lot of digging ploughing on His part. It will be full of sorrow. Unhealthy things I held on to would have to be let go of. But the result will be glorious! The newly dug up soil will be exposed to life giving oxygen. It will be easy to work with and fertile for new life. Newness will thrive and be nurtured. There will be abundance of beautiful colors and fragrance. The garden of my heart needed tending because it had been neglected for so long. I left wounds and hurts far beneath the surface of the ground ignored, allowing them to be entangled with sinful, cynical roots. The longer it was left untended, the more difficult it was to plow and weed. It took time and a lot of work to get that little garden area cleaned up. There was so much debris and ugly weeds! The newly dug up dirt was so easy to work with. I could effortlessly push my trowel into the loose soil. The earthy smell was a welcome reward to my soul. It was reminder of all of the hard work that had been done, the incredible development and care of my heart. New life was ready to be planted! I was so excited! Each plant would have more than enough room to grow and blossom. I tenderly took each special plant and lovingly placed it in the wonderful smelling earth. There was just something about this accomplishment that brought much healing to my shattered heart. The pieces were being put back together by the One who molded and knit it together long ago. He knew where every single shard belonged. He knew the pattern of my heart. Only He could put it back together. Neglecting the heart is never a good thing. Our hearts offer the well spring of life and we must, above all else, protect and guard it (Proverbs 4:23). When we neglect caring for our hearts, for our spiritual well-being, weeds creep in. Many times, these weeds aren’t easily seen. They move stealthily into our hearts. They slip in underneath, hidden from view. And it’s only when we begin using it, we discover the intruder. Our Heavenly Father never meant for us to have hardened, weed infested hearts. But because of sin, weeds are everywhere. They are not always avoidable. But we can take heart. There is One who is more than willing to roll up His sleeves and begin digging into the depths of our heart gardens. He will help us remove those dreadful, heart-killing weeds. And He will help us to plant new life and beauty in our softened hearts. One way to deal with the weeds of your heart, is to learn how to manage stress and the environment around you. This free mini video e-course will help you learn how to control stress and offer practical solutions for balancing life. Hurry! It’s only available through Monday, April 20th and it’s FREE! How have you been neglecting the garden of your heart? 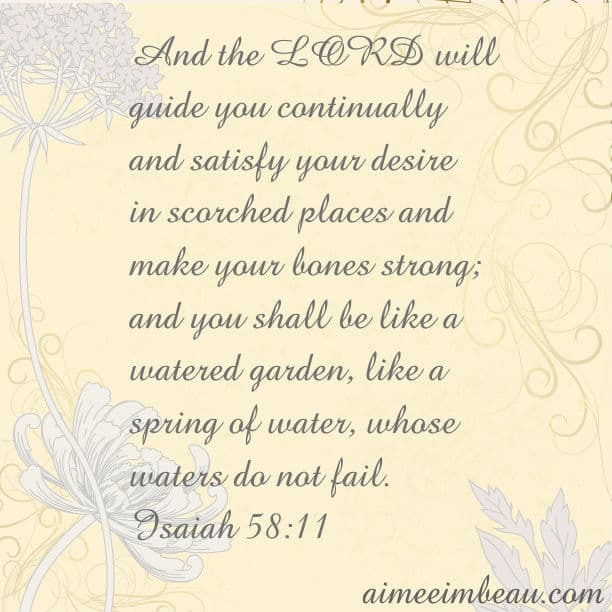 What areas do you need to let God prune and refine you? 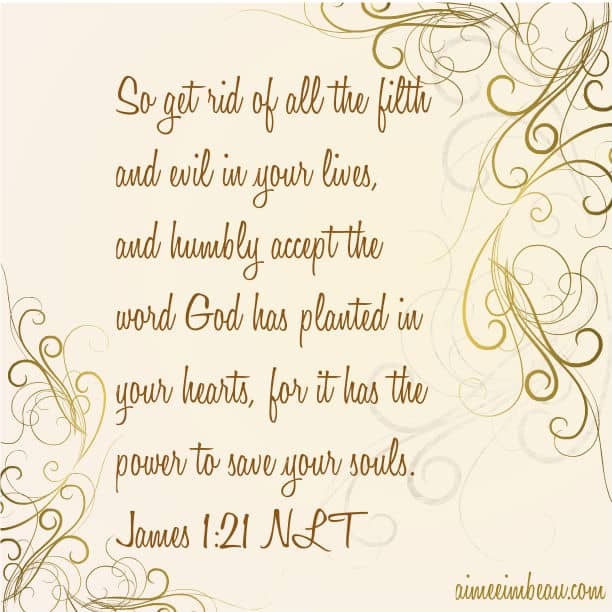 Agree on weeding things out of our hearts, the Word helps us to do just that! 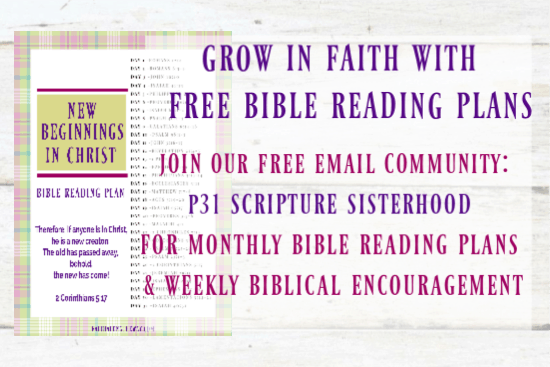 Kelly Cox recently posted…Potted Plant Update with Scripture! Oh yes! It’s such a fabulous verse! Love it! What a wonderful and thoughtful post. I truly enjoyed reading this and found it very encouraging. Thank you, Tina! Aimmee is full of wisdom! I love it, Alicia! What a great video series and I will have to check it out. Thanks! I really enjoyed this post. I’m going to tweet it out a few times today. Such great reminders in this season of spring! It’s a good thing when a task like weeding a garden for new growth brings you back to the scriptures and our debt. I have to admit, last year I tried (and um, failed…. but that’s irrelevant) to grow veggies behind our apartment building. It looked beautiful after all that horrible weeding, but then it feel into disrepair. I blamed it on being inaccessible, having to go through the building’s basement to reach it and just too much work. But through all that, my mind never went this way. A good reason to keep your eyes open to ways He speaks to us daily! Yes, we do need to keep our eyes on Him. Don’t worry, I have a brown thumb too! “He needed to eliminate the awful weeds so that He could plant new life in my heart. And in order for Him to get every bit of root out, it required a lot of digging ploughing on His part. ” Excellent post reflecting the sometimes-painful work that God does in our hearts to cultivate new growth and life! Thanks so much Aimee and Sarah for sharing this with us at Grace & Truth! Absolutely! I too, need the weeds of my heart pulled and refined. Thanks to Amy for a fabulous message! Loved this post. It’s so true that our hearts are gardens and many of our gardens are rundown and overrun with weeds. We have to continuously work to keep the garden growing good things and smelling beautiful. My family and I left the USA a year ago, and move to Italy. We’re building a center in one of the most beautiful places in Tuscany which will help people rediscover this garden and learn how to take care of it. I recently wrote a book, a story, that followed the journey of my own heart. It’s not a shiny happy Christian novel, but a real life journey about a young Christian woman who is looking for God and love. It revolves around her experiences and her deep questions, like ‘Why was there a tree of the knowledge of good and EVIL in the Garden of Eden?’ If God is good, what was EVIL doing in his garden? How did it get there? God could have cast Satin into space, or a black hole, after the separation but he chose Earth and of all places his Garden. Why? I cannot tell you the story, but answer is in your heart, which is in fact the NEW Garden of Eden that Jesus fills with love. The book is called “Bridges: An Extraordinary Journey of the Heart” by W. S. Williamson and it was recently named Foreword Reviews’ 2014 INDIEFAB Book of the Year Awards Finalist in Religious Fiction. Google “Bridges Williamson Foreword” for their 5-star review and don’t buy used copies of this book since it was updated in 2015 without notice. Thank you for sharing this post, I really enjoyed it. What an adventure! Thanks for sharing details about your book and best wishes to you! God bless! Best wishes to you on your book! Congrats! It is great that you have decided to take care of your garden. It is true that the work is a lot but when you see the result you forget about all the struggle! Me and my husband moved to our first home and there was a beautiful garden that was in a very poor shape, though. We were weeding one whole day in order to give it a better look. Thank you for sharing your experience! I wish you to have a lovely garden planted full with colorful flowers! A Generation of Entitled Perfectionists?